Michigan has some of the toughest high school graduation requirements in the country. They consist of: ● 4 credits math and English language arts ● 3 credits science and social studies ● 2 credits foreign language ● 1 credit physical education/health ● 1 credit visual and performing arts ● 1 online learning class All students are required to take the Michigan Merit Exam which replaces the MEAP testing. Reach your audience in print, digital, mobile and social! LIFESTYLE is the premier resource guide for the Greater Rochester area. Featuring print, online and social media to brand your business in the community. 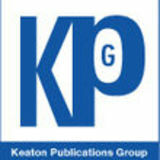 KPG is taking ad placements for the 2019 Resource Guide issue. Targeted distribution. Signiﬁcant presence at city ofﬁces, libraries, chamber of commerce,recreation facilities, and local businesses. At Welcome Centers throughout the State of Michigan. Online Lifestyle provides 24/7 exposure. Interactive. Trending on 5,000 views;15% conversion to reads with 5+ minutes average read time. • PLUS social media access via the Daily Plug for the Greater Rochester Area – community updates, new service/product announcements and offers, current events and activities – keep your audience informed of “everything you”.